While I'll be celebrating Galentine's Day with a friend tonight, I'm sure there are plenty of you ladies out there in need for a pretty 'do for your hot date. 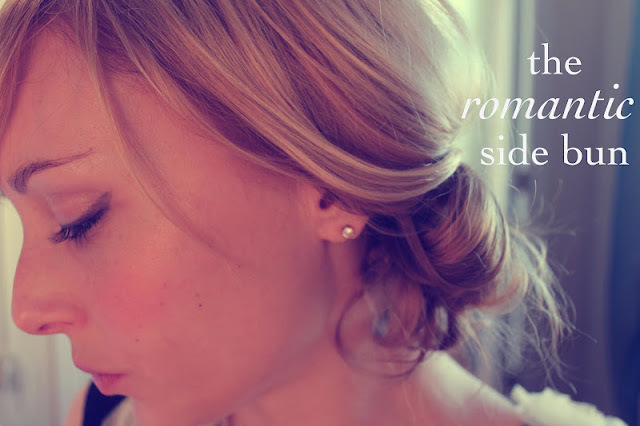 Give my tried and true messy/romantic side bun a try - it takes less than five minutes and very minimal effort. Spend the rest of your prep time picking out an outfit...or delving into a predate little champagne!